With candid photographers taking the wedding photography industry by storm why go for the mundane traditional way of capturing all the fun and frolic at your wedding, where the photographer tells you how to stand and where to look and how to pose. It’s just too mechanical. What’s trending on the wedding scene is soon-to-wed couples opting for pre and post wedding candid photo shoots that dreamily seize that special, ‘butterflies in the stomach’ feeling and emotions the couple go through during this super awesome phase of their lives. Candid photography specialist don’t let their presence bother the couple, just let them be their natural self. What a great way to break the ice and get to know your partner better, destress and indulge in a little bit of photo romance before and after your wedding day. For couples who’re looking for the finest candid photographers in Mumbai, here are our top 5 photographer picks you must-must-must consider for your wedding. Read to find out why and don’t forget to check out their portfolios of the middle to high profile wedding projects they’ve captured beautifully. Securing its place right on top of our list we have Jodi Clickers, who do a fab job when it comes to clicking you at your natural best. In July 2012, Abhishek Behani left his full-time job and followed his passion of photography to formed Jodi Clickers (JC). Today, along with a team of 18 creative and energetic members, JC are ace photographers who offer their clients wedding photographs that are fresh, innovative and personalised. They are gifted with the talent of capturing your innermost feelings onto photographs. The love in your eyes, the warmth when you caress each other and that mushy feeling when you give a peck on the bride’s cheek or the time when you break into laughter simply enjoying the moment of togetherness, all of this and much more is flawlessly captured by JC. If you want the most cherished moments of your pre, during and post wedding captured in this very natural, non-mechanical way, you know who to call. Started in 2012 by two pretty lasses Kanishka Sonthalia and Aayushi Sachdeva, The Wedding Salad knows exactly what clicks with soon-to-wed couples. The duo along with a team of eight photographers and editors churn out photographs that pick the right mood and essence of the entire wedding celebration. Their unique approach to candid photography style is the kind that will instantly make you immerse yourself in the moment. Don’t believe us have a dekho at their portfolio. While you’re busy celebrating your union, you need a watchful eye to capture the naughty look in the groom’s eyes, the tender coyness of the bride, the trickling tears from mom’s eyes, the innate joy of those attending your celebration, these emotions that may oftentimes go unnoticed? Monisha Ajgaonkar, founder and director of The Photo Dairy perfectly arrests those moments in her camera. Her love for exploring human emotions and scripting them into colourful and monochrome images has successfully made her one of the most sought-after candid photographer in Mumbai. Index finger set on the camera and with keen observation, Hermit Panesar, founder of Girl in Pink Photography, goes click, click, and click chasing and capturing raw emotions that speak a thousand words. Seizing moments of copious love, affection and extravagant gestures, Hermit doesn’t disappoint. Her artistic visions have made couples not regret their decision of choosing her to store the best memories of their big day. If you’re a Big Bang Theory Fan, you’d know who Raj Koothrappali (Kunal Nayyar) is. 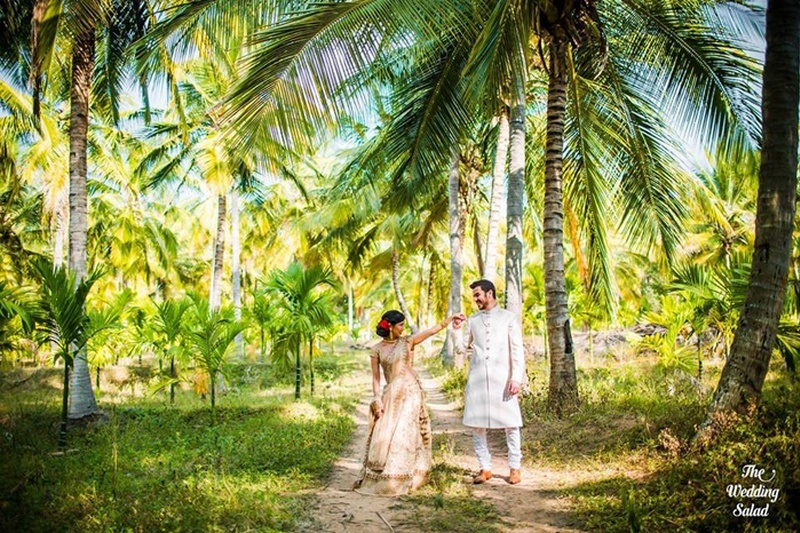 And if we tell you, his wedding was captured by Photo Tantra, would you believe us? For all the Big Bang Theory fans and those who are not, Photo Tantra should be your go-to photographer if you want to seize not just the best but superlative moments of your wedding in an artistic way. Dream photographers of most Indian and international couples, Photo Tantra has excellence written all over every image they capture. Need we say more? These were our top 5 picks whose portfolio simply had us awe-struck and boy did we have a tough time narrowing down this list! There are many other brilliant ace photographers listed with us and you can surely find one who can fit your budget. Explore!